Band Girls by Jesse Soursourian Recipients of AGBU’s Performing Arts Fellowships from Columbia University’s School of the Arts. 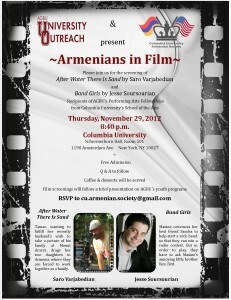 Q & A will be moderated by filmmaker Zareh Tjeknavorian. Thursday, November 29, 2012; 8:40 p.m. at Columbia University Schermerhorn Hall, Room 501. 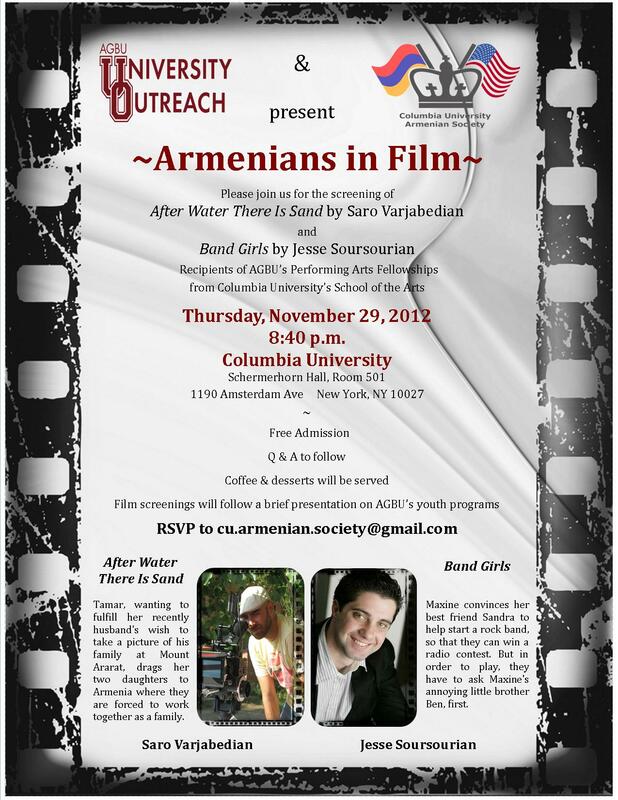 The event is organized by ASCU and AGBU. This entry was posted in Uncategorized by Narek Sevacheryan. Bookmark the permalink.